Announcing the next installment of ‘The Millman Experience’ : Intensive training weekends for competitive Squash enthusiasts of all levels. October 17. 18.19, 2014 at Meadow Mill Athletic Club in Baltimore. 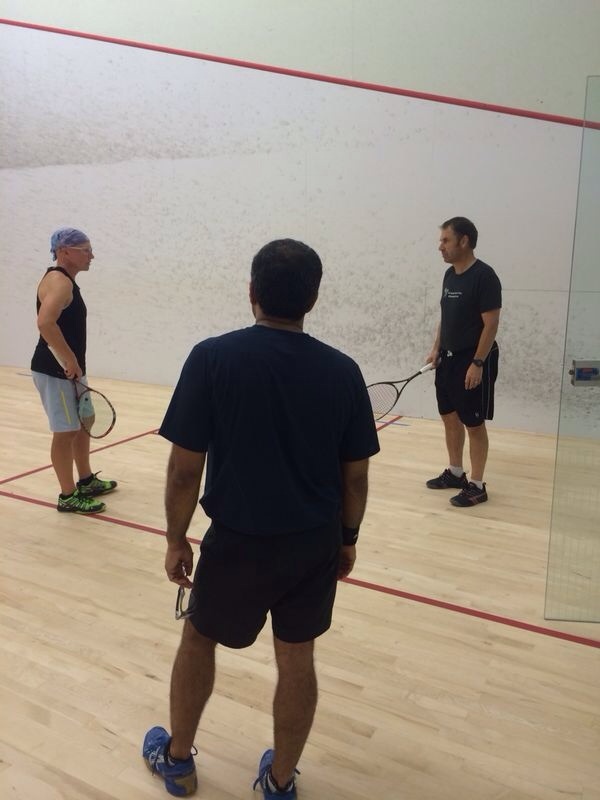 I am writing to invite you to another edition of ‘The Millman experience’, my intensive training program for competitive Squash enthusiasts of all ages at Meadow Mill Athletic Club, in Baltimore on the weekend of October 17th, 18th and 19th, 2014. Sunday October 19 – 9am-1pm. Once again I will have videographer Franklin Sayers at this session all day Saturday and will supply a DVD to those that have completed the full program. Those wishing to do less than the full weekend are welcome to apply. Saturday Full day 10am-4pm $200. People coming for the full program and those that have attended in the past will be given priority although I hope to fit everyone in. There will be a limit of 16 places. This will be an exciting and intense training and learning weekend and participants should be ready to work hard throughout. thanks and I look forward to working with you on your game.